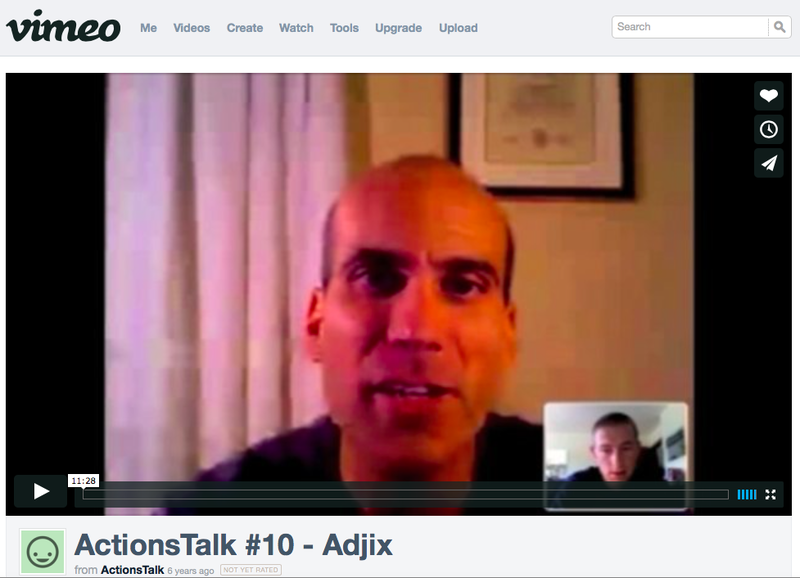 In 2008, a "broke kid" in a dead-end job, named Ryan Graves, interviewed me as part of a series on startups called Actions Talk. I was his tenth interview as he distilled the secrets of successful startups. Today, he's the COO of Uber with an estimated net worth north of $1B. I guess I gave him some good advice. Ryan Graves interviewing me in 2008 (click to see interview). 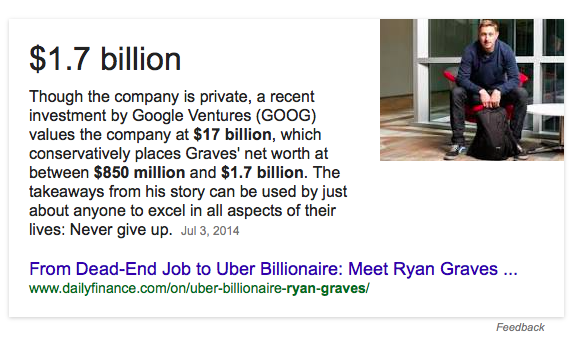 Ryan Graves's hard work now worth more than a billion.